Over the past year, I have been encouraged to see more and more wildlife criminals being brought to justice, like the recent undercover sting in Delhi that netted half a ton of ivory and resulted in the arrest of a major criminal kingpin, Umesh Aggrawal. With support from the International Fund for Animal Welfare (IFAW) and Wildlife Trust of India (WTI), Indian authorities identified Aggrawal through a combination of human and digital intelligence including local community tips and detailed analysis of phone records from elephant poachers. Another success came from INTERPOL's Infra Terra, which urged the public to provide information on suspects identified by member countries as their "most wanted." IFAW supported this operation, which led to the arrest of Rajkumar Praja, the ringleader of a rhino poaching network wanted by Nepal, and Feisal Mohamed Ali, the ringleader of an ivory smuggling ring in Kenya. We know that poaching is big business. We know that poaching networks have become professionalized. They are large, well-resourced and sophisticated. Defeating them is not easy. To save elephants from the threat of extinction we need to be able to predict poaching attacks and catch poachers before they kill, not just chase them after the elephants are dead. IFAW's tenBoma project would help Kenya Wildlife Service staff monitor data near poaching hotspots. 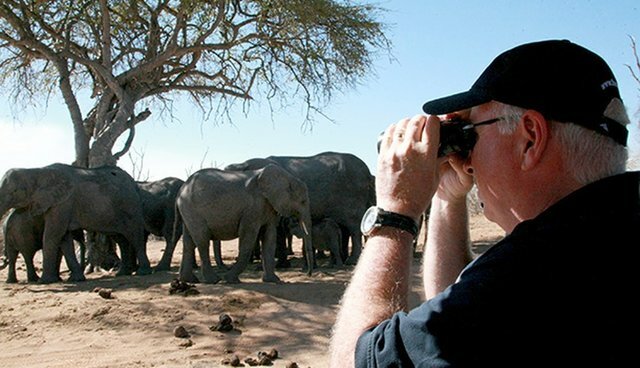 IFAW's tenBoma project aspires to do just that, working in partnership with the Kenya Wildlife Service and the endorsement of the President and First Lady. For law enforcement agencies to catch poachers before they kill, they need to "build a network to defeat a network." They need to be able to collect data from multiple sources, including anything from National Park rangers and community scouts' patrol reports to intelligence gathered by police from local informants and other sources, and then combine this information with data from sophisticated modern technology such as satellite surveillance, drones and GIS mapping. This combination of "big data" is then analyzed using sophisticated computer software, but combined with a human element in the form of interpretation by a trained intelligence analyst. Our approach requires investment. In tenBoma, IFAW is helping to build a new data platform that will compile intelligence data from multiple sources for predictive analysis. To ensure its effectiveness, we will also have to work with KWS and other stakeholders to ensure that field practices and procedures change radically. Incoming data must be comprehensive, complete, and contributed regularly. Capacity development will focus on training in intelligence and law-enforcement procedures as well as geospatial data management and analysis. Training will focus initially on KWS staff in Operations, Intelligence, and Investigations, but in the long term all KWS staff - and appropriate colleagues in other government agencies - should understand their duty to report information. I will be promoting this grassroots to international collaboration enforcement approach when I speak at the upcoming second annual INTERPOL Environmental Compliance and Enforcement Conference in Singapore on Nov. 23 to 27. The meeting will bring together operational managers and investigators specialized in wildlife crime from around the world, as well as executives from non-governmental organizations and the private sector, which INTERPOL recognizes as essential partners in the fight against wildlife crime. Broad international involvement in this conference as well as the growth of INTERPOL's Environmental Security Unit itself shows the impact of our supporters on improving wildlife crime enforcement. "It is important to remember that the public creates a demand for government action. In order for our work to continue and succeed, we need both public support and commitment from national governments around the world. Thanks to the support of IFAW and other non-profit organizations whose mission is to support animal welfare, INTERPOL's Environmental Security unit has grown substantially in the past years." Thanks to our supporters, communities living with endangered wildlife are safer and more engaged in anti-poaching activities, wildlife crime enforcers are better trained and equipped to dismantle wildlife trafficking syndicates and elephants, tigers and rhinos are safer in the wild.